Malaysian employers have been warned against dismissing local employees in order to hire foreign workers. Deputy Human Resources Minister Datuk Seri Ismail Abdul Muttalib, addressing the Dewan Rakyat today, said Section 60 of the Employment Act 1955 (Act 265) states that no employer can arbitrarily terminate the employment of local workers to employ foreign workers. Foreign workers can become union members but they cannot hold leadership posts, the Malaysian Trades Union Congress (MTUC) clarified today. MTUC president Abdul Halim Mansor said this when brushing aside a call by former Treasury secretary-general Mohd Sheriff Kassim for foreign workers to be allowed to join trade unions. MTUC Penang Division cannot digest the Federation Of Malaysian Manufacters Penang chairman's statement that some factories lost millions because workers skipped a day of work. It is greatly disturbing that the FMM has elected to state that workers skipped a day of work when the reality is that the workers were constrained from reporting to work as a result of the unprecedented effect of nature. To quantify losses to direct inability of workers to report to work on account of circumstances beyond their control is devoid of compassion and corporate social responsibility. The stand taken by FMM is but a reflection of the employers only concern i.e. the bottom line! It is down right disgusting that the FMM has decided to issue such a statement even when people are coming to terms with the tragedy that has struck them! There have been deaths and workers homes destroyed but FMM'S only concern is but losses to the manufactures. MTUC Penang Division wishes to remind the FMM that it is the same workers who have loyally toiled for their members at all times. But it is no gain saying that employers, as they are, easily forget the contributions of the working class in their quest for profits! MTUC Penang Division reminds employers that the entire nation is shocked by the extent of this calamity and everyone is consolidating their efforts to address the situation. We, therefore, believe that organisations like FMM ought to refrain from making unwarranted statements that are devoid of compassion. 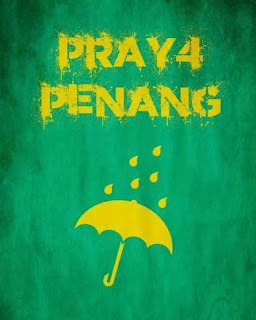 In conclusion MTUC Penang Division calls upon all employers to grant paid leave of absence to employees who are affected by the massive floods least they be called inconsiderate or, worst, inhumane!